It was very windy as you can see from the tree and it was freezing cold. It was also raining in the distance and I love how the sun made it go red. Daddy and I just drove around and ended up there! Will find out the location in future. Its the same location as the photo below. This is the same place as Stormy Irish Weather above. 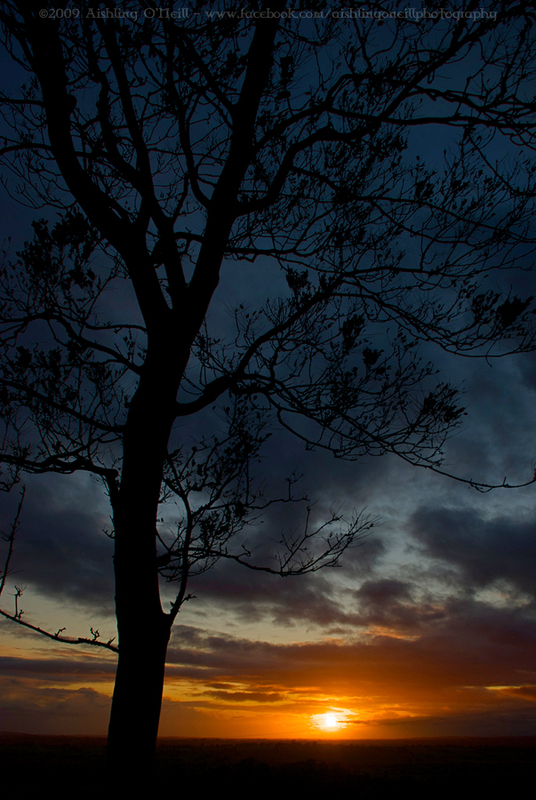 You can thank my daddy for this shot as he directed me to it when I was taking photos of the sunset on its own but none of them came out as good as this with the tree. It feels very lonely I think and daddy agrees! But still I love it all the same. 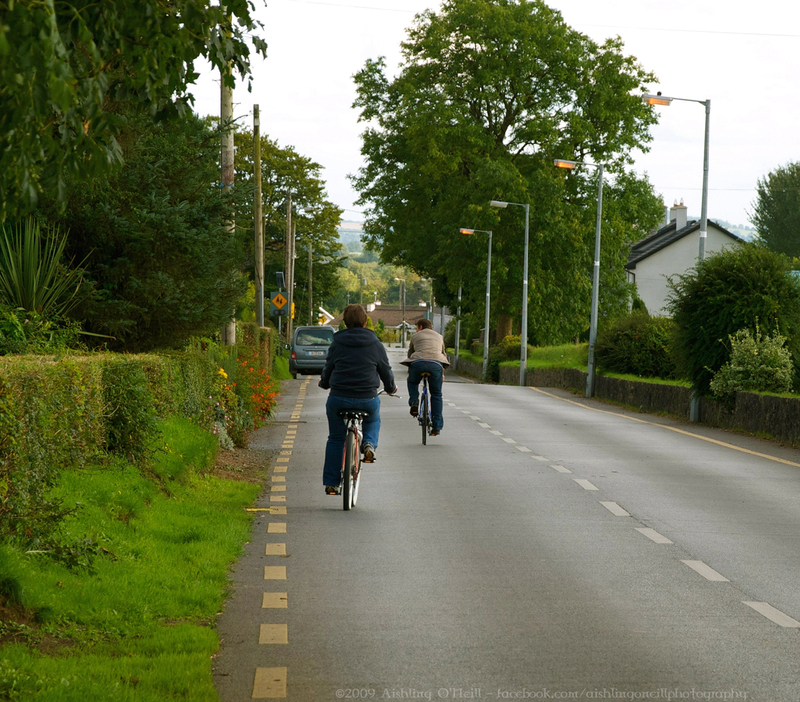 Two people cycling down to the center of my hometown village Legan. 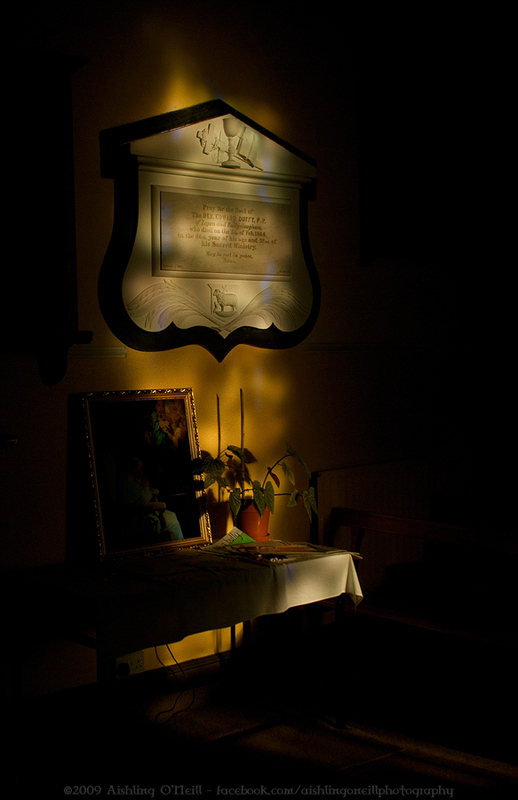 Location: Legan Church, Longford, Ireland. I was inside Legan Church one day nobody there but myself and my daddy and the sun was shining through the Stained Glass window onto a Plaque and some kind of shrine. I didn't even realise the photo came out so good and didn't find out what the plaque or anything said. Next time I'm there I will find out more info for you. 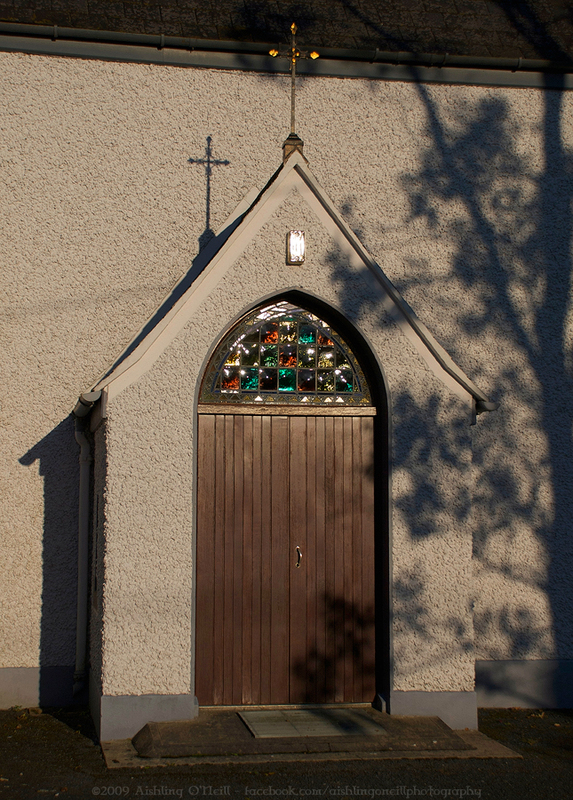 Photo of one of the doors of my local Church here in Legan. Taken back in October (wow it doesn't seem like that long ago) it was just starting to get dark, sun was setting, love the shadows of the tree and sun reflecting off the coloured glass above the door. I love your photos! They are fantastic! I was awed by many of them, and that is a true sign that you are very talented. I enjoyed them so much that I am going to show them to my daughter when she gets home from school. She has a deviant account too, but I have forgotten her name now....something Ty_terminator... Oh well, I forget. LOL! Not a problem!!! :D Happy to stop by!!! I'm glad you got some sunshine!!! Its pretty dull here at the moment but no rain thankfully!!! I hope too that Spring arrives soon!!! I've noticed some flowers and tree buds that are starting to bloom!!! I'm very eager for Spring!!! Big hugs back to you from Ireland!!! Stunning photographs Aishling! They are all breathtaking but the one with the plaque illuminated by the stained glass window is just brilliant. I love it. Thank you so much Barry!!! I'm really glad you like my photos!!! When I open your blog, my heart suddenly fluttered - you are the most amazingly talented photographer I've seen - you SPOKE to my heart- I am all "verklempt" - I can't explain this feeling of joy in finding your talent in photographing the beautiful Irish landscape and it's wonderful people. Thank you thank you thank you for sharing your talent. Wow!!! Thank you so much Utah Grammie for those kind words!!! Please be sure to keep an eye on this blog for more photos of Ireland!!! I have lots coming!!! Again thank you!!! And I hope to hear from you again soon!!! You live in the most amazing country ever! =) I never have been to Ireland, but I want so badly for six years now. It must be amazing. All those nice sites and places you can visit! I never heard of County Longford, but I will google it :) Do you like to live there or would you like to live somewhere else? Thank you Inga!!! I'm glad you like Ireland so much!!! I'm sure you'll get to visit someday!!! I love living here of course and don't think I would like to live anywhere else!!! I'm pretty sure Longford has its own website so I'm sure you found that!!! Thanks so much for the comment and sorry about the late reply I've been having internet problems!!! I will have that blog up in the next few days!!! 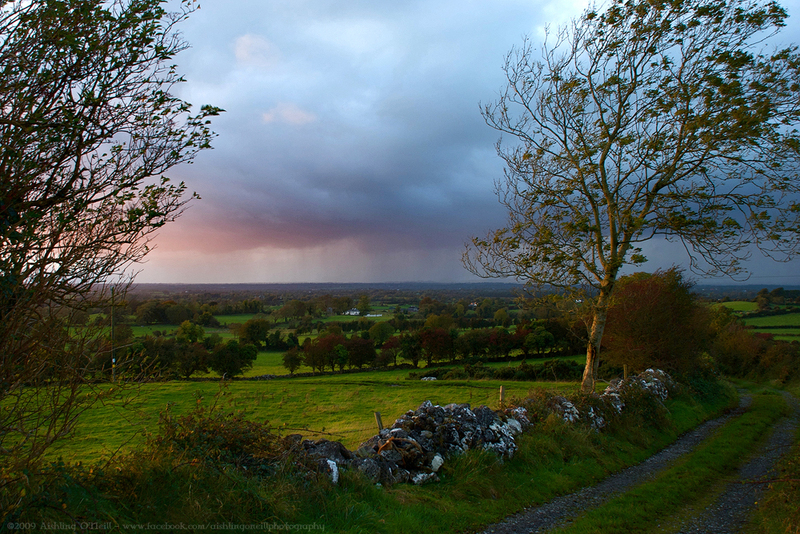 Great photography, Aishling, We were in Ireland in 2004 and loved it. Ireland certainly is a photogenic country and you are capturing it beautifully. Cheers from Down Under. Thank you so much WILBO43!! !